Where can I find older versions of IPHost Network Monitor? 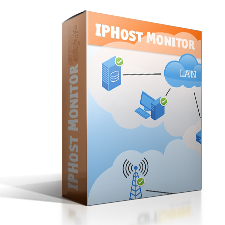 Q: I would like to install one of previous versions of IPHost Network Monitor. Is it possible? Where can I get the installation executable? A:: Since IPHost licenses do not expire, you can use it as long as you wish. However, you can only upgrade your installation to versions published before your Maintenance&Support subscription has expired. The table below contains links to previous (archived) versions of IPHost Network Monitor, down to version 3.0, in reverse chronological order. In order you could be sure you are installing authentic IPHost version, we also provide file sizes and checksums. Important: although you can use any of the versions published below, we strongly discourage you from using versions prior to the latest one (v5.1 build 14047, the first in the list). Apart from a number of bug fixes and enhancements, there could be certain security issues that could make your installation insecure. You are strongly advised to use the latest version. In order to learn which IPHost version/build you can use with your license, run IPHost GUI client and click “Help > About IPHost Network Monitor“, to see Maintenance&Support expiration date. You can only use IPHost builds released at or earlier than your license’ Maintenance& Support expiration date. Important: you are advised to check SHA1 and SHA256 checksums of all the executables you download, prior to running them. Visit PowerShell File Checksum Integrity Verifier page to download checksum calculating tool and for instructions on its usage. Avoid installing software if it fails checksum verification. How do I configure HTTPS access to Web interface for maximum security?